We’d love your help. Let us know what’s wrong with this preview of Daughter of the Sun by Zoe Kalo. But before they can get to know each other, her grandmother dies. Al Sixteen-year-old Trinity was born during a solar eclipse and left at the doorsteps of a convent along with a torn piece of papyrus covered with ancient symbols. Raised by nuns in the English countryside, she leads a quiet life until she’s whisked away to the Island of Cats and a grandmother she never knew. To ask other readers questions about Daughter of the Sun, please sign up. I LOVE READING THE BOOK DID YOU HAPPEN T HAVE BOOK MARK OF THE BOOK? A cute cat Girl, Trinity, orphan with a mysterious family legacy. A cold Aunt, Dr. Bithiah Nassri, even with her own daughter. In a very rich urban fantasy full of myths, twists, and a lot of Cats. As; 1) a big fan of Harry Potter, 2) Love of Cats, 3) being from Egypt; It was natural to find it a great read. "Cats are beautiful, mysterious animals. But let’s face it, it’s not like they have a great reputation. You can’t really trust them. They have a dual nature that can be unpredictable. They look all soft and cuddly, then they show their claws when you least expect it." And although I've predicted most of the plot turns, the story overall is really unpredictably great. And it really went a good length in searching into the Egyptian mythology, specially of the Cult of Cats..
With a "Harry Potter-ish" beginning, or Percy Jackson may be.. yet very different and good paced. May be the first time Goodreads' Making Connections get a good choice for me. It's the story of Trinity, lived all her life in orphanage. To fulfil her grandmother’s last wish to see her after years of searching after her. 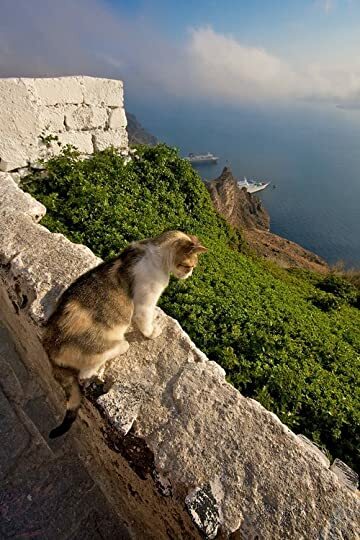 Then the story takes us to Kedilerin Ada, Island of Cats, small island near Istanbul. Where it's full of cats, and getting ready to the Summer Solstice in a colourful festival that must be held by the sponsor of the whole island, who's like the owner of it. Trinity's Grandmother. With this bizarre of island, and mysterious behaviour of the cats, lots and lots of cats,specially this one “slugger” which insisted to accompany Trinity from the Orphanage, we'll face a strange mysterious behaviour of D. Nassri, her daughter Ara and her friends, specially Sith. Who's him, and his family, more of Dog people not cats one. Discovering the mystery behind Trinity's family and Ara’s. And the shocking twists which enhancing by the approach of the festival. And the blood Moon.,the Total Lunar Eclipse. The story is really good, it's not ranty or has much fuller lines as many YA. No, it's perfectly paced.. I loved also the deep researching into the Egyptian's evoulation of writing. And the myths of course. Trinity is a good character. Smart and fun..loveable. Yet sometimes was normal YA annoying girl but glad that didn't take longer than very minor lines..
Ara is even more interesting character, she and her mother share a very complicated Mother/Daughter relationship. Very well written, and I loved her sarcastic lines. “You can bribe the devil to freeze up hell when you have the kind of money Aunt Marg—well, the kind of money you have." Dr. Nassri is very interesting character too. Alas you can expect her action at the very beginning.. but how far could she goes.. you'll never expect that. 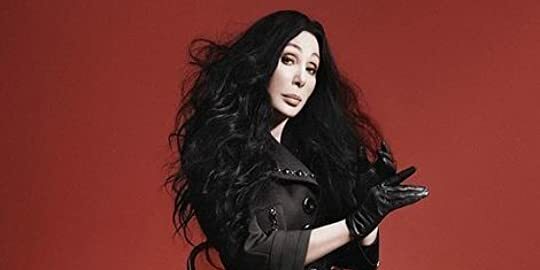 She reminded me with Cher..I don't know why.. Seriously she's as haunting as her..
Seth, the jackal boy, he could have been used better.. his presence was very good sometimes, other times just as cheesy YA love interest. I believe we'll see more of him in later books.. I mean, he's 'Jackal'...if you know what I mean..
Well, I could have rate it total 5 if not for the very bizarre rushed ending.. I mean we've been waiting for the Summer Solstice and the Lunar Eclipse.. but it really came rushed.. even the final confronting wasn't staged as perfect as the Monastery setting was promising a better, stronger scene. I have to say also the ending seemed as a amateur cut to black with “To be continued” in our face. But for the thrilling very interesting sneak peek of Book Two, I can't just wait for it..with its new characters, setting and how it will get on with the characters of book one. Great work. Of cult, Gods and Demons.. Promising series really. It's for you if you like Harry Potter, Percy Jackson and good written Urban Fantasy. If you interested in Egyptian Mythology. Daughter of the Sun was quite unique. There is a lot of Egyptian mythology and cats, which I enjoyed a lot. The history was wonderfully woven through the story and didn’t slow me down. The god and goddess are explained in short detail but are important to the overall context of the story. Zoe Kalo has done a wonderful job in a debut novel. The pacing was perfect and there was a direction in the novel that was faced past. 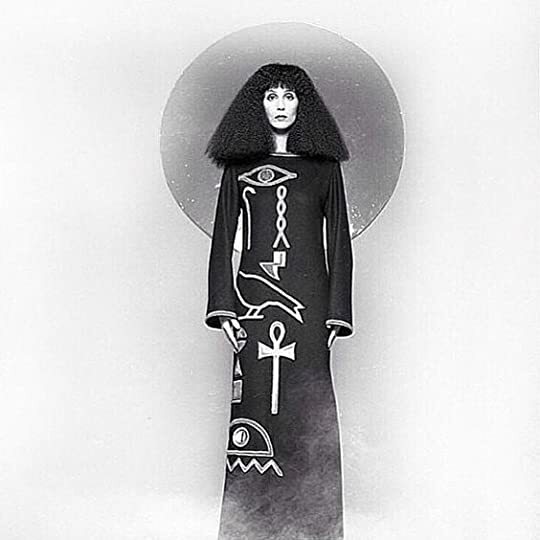 The only question I have is that is Trinity really a reincarnation of an Egyptian Goddess? This concept is unique. This book is a coming of age and Trinity must navigate her way through her new purpose. I decided to try this YA indie fantasy because I love cats and I'm interested in the Egyptian cat goddess, Bast. So I received a review copy from Book R3vi3w Tours. The cover gave me the impression that this book would be set in ancient Egypt. So I was surprised to learn that it begins in contemporary England where Trinity, the sixteen year old protagonist resides in a convent. At the outset, Trinity believes that she has no relatives. 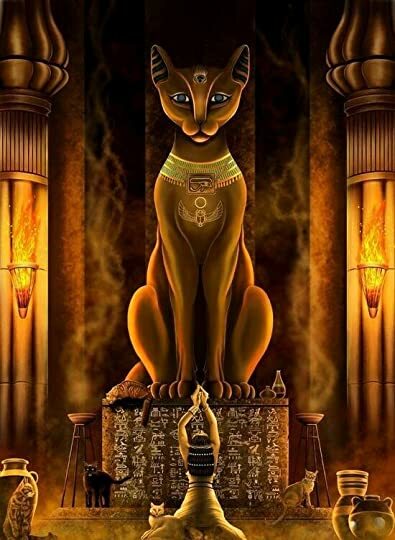 Yet she does have an affinity for cats and surprising para I decided to try this YA indie fantasy because I love cats and I'm interested in the Egyptian cat goddess, Bast. So I received a review copy from Book R3vi3w Tours. The cover gave me the impression that this book would be set in ancient Egypt. So I was surprised to learn that it begins in contemporary England where Trinity, the sixteen year old protagonist resides in a convent. At the outset, Trinity believes that she has no relatives. Yet she does have an affinity for cats and surprising paranormal powers. It turns out that she has a family heritage that is connected to an island of cats off the coast of Turkey. YA readers may expect a strong romance element in Daughter of the Sun. Magic and myth are much stronger themes. There are also plot reasons why romance isn't central. I thought that it was appropriate that there was less focus on romance. Some reviews on Goodreads complained of predictability in the story line, but there was actually one development that I considered very astonishing. For me, Daughter of the Sun was a fun quick read. Trinity was born on a solar eclipse and left at an orphanage door with nothing but a mysterious papyrus to her name. She is then raised by the nuns in a quiet countryside till she discovers that her grandmother is alive and living on an island. At sixteen she is shipped off to live with her grandmother on an island of the cats. Unfortunately, the reunion did not last long as her grandmother dies and she is left to fend for herself while discovering her own truth. Trinity as a character is quite l Trinity was born on a solar eclipse and left at an orphanage door with nothing but a mysterious papyrus to her name. She is then raised by the nuns in a quiet countryside till she discovers that her grandmother is alive and living on an island. At sixteen she is shipped off to live with her grandmother on an island of the cats. Unfortunately, the reunion did not last long as her grandmother dies and she is left to fend for herself while discovering her own truth. Trinity as a character is quite loveable. Growing up in an orphanage by the nuns, she is sheltered and naïve, but only to a point. As she is thrown into an adventure of her own, she learns to ask the right questions and look out for herself. Her temper is the only thing standing in her way. Seth on the other hand is just as loveable because he is hot and sweet. There is a plethora of other characters in the book, some of who played an important part but there were a couple without whom the plot would still go on. The starting of the book is a bit slow as the author builds up the world and the character, but few chapters into the book the pace picks up and maintains a steady flow. What I loved most about the book is how it weaves in Egyptian Mythology. I have read a lot of Indian and Greek mythology, but this is only the second book I have read on Egyptian Mythology. The author does a beautiful job with it too. Though this book mainly deals with the Feline Goddess, I couldn’t help but feel curious about the rest of the Gods. I will surely look up more about it. The language used is easy but in no way simple. It was another highlight of the book. 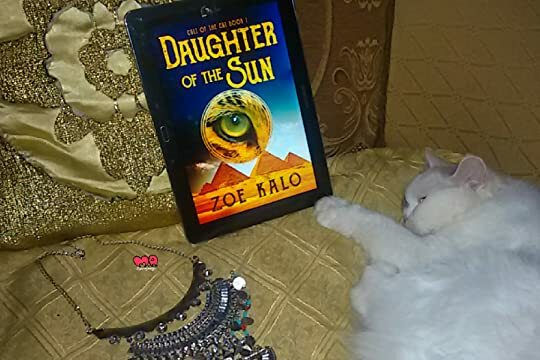 Daughter of the Sun is the first book in the young adult Cult of the Cat series by Zoe Kalo. Daughter of the Sun is a young adult mythology based on ancient Egyptian mythology. 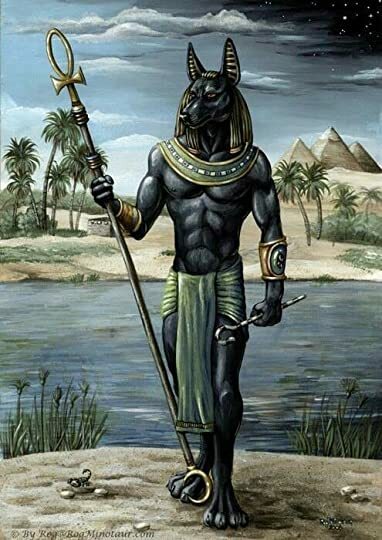 I love all kinds of Mythology and the ancient Egyptians are some of the most fascinating because to me, there myths are the most rooted in history. It is so easy to believe in the magic surrounding their pharaohs because they actually existed. I just love learning about Egyptian history and imagining magic swirling around in the events. Zoe Kalo does an excellent job embodying the time period too. It was my favorite aspect of Daughter of the Sun. I love a good mystery, so when the main character Trinity has a torn piece of Papyrus and a mysterious ring leading her on an Egyptian journey, I was instantly excited. Once I started reading, I thought the book took a little bit of time to gain momentum, and the writing flt a bit young to me, (I would recommend it to the younger side of young adult readers), I will admit I was a bit wary. But I would have been very wrong. Once this book gets going, it is so much fun. I loved the historical elements woven into the story and I loved all the Egyptian mythology. If you are a big romance fan, be forewarned that there is not much of that in this story, and the little that there is smacks of insta love. The romance has the potential to grow on me, but I wasn't really feeling it in Daughter of the Sun. Luckily, that part of the story kind of fades into background. It wasn't what I was looking for in this particular read, so it didn't really bother me. Bottom line: Daughter of the Sun is geared towards a younger audience, and I think it is a great book to expose some younger teens to Egyptian mythology. They will dig this fun adventure. It is a good start to what looked like it will be an action packed, and fun series. If you are looking for a romance, I might pass on this one. Or at least wait until the second book to see if it grows into something more. Alas I can only give it 3 Cult of the Cat Stars. Full of mystery, an engaging read filled with secrets, Egytian mythology. A strong heroine who is persistant, wants answers and isn't afraid to get them. Trinity grew up in an orphanage. Just before she turns seventeen her long lost Grandmother finds her and she is taken to the Island of Cats to her Grandmother. Questions upon questions arise. Trinity is a chess piece in a game that she doesn't want to participate in. Ms. Kalo certainly did her ho Alas I can only give it 3 Cult of the Cat Stars. Ms. Kalo certainly did her homework in the research department and the overall plot line is original and unique. My expectations of this book when I started reading it were null. This exceeded my expectations but there were also things that bothered me. The first part of the book was engaging and sucked you in. Between the 60 % - 80% mark it slowed down a bit and got somewhat tedious. All in all this book is good. Now I know that there is no age limit to reading YA and YA fantasy is better than pure YA but I feel as if I might be about ten years *cough* maybe fifteen years *cough* to old for this. Ah the joys of being a teenager I do not miss it at all. One thing that bothered me? That the Mummy that was on the loose wasn't found. I can't predict if I will read the second book in the series 'The Red Linen' it does sound interesting from the sneak peak of book two that I read. The plot took me by surprise, as it had so many twists and turns and awesomeness that left me lost and awake until 5AM today in order to keep reading, haha! And then, the book just ended. ENDED. OMG. There’s no cliff hanger, but I need more!!! I definitely plan on continuing the series <3 Also, the way how Kalo portrayed and executed Egyptian Mythology was fabulous! And yes, I needed to use that word. Because it felt like home for me, a true aficionado, but also had that touch of something new, mysterious and dangerous! My head was buzzing with questions as I finish the book, so that’s another reason why I NEED THE NEXT BOOK! The characters were amazingly real. I was stunned to see how much they looked like my friends, neighbors, relatives and all! I think I kind of expected something out of this world in a bad way when I started reading Daughter of Sun – it involves gods, you know? Haha! Not the case and it was delicious to be wrong. I haven’t decided yet if Seth deserves a spot on My Bookish Boyfriends list, but I’ll get there and update this review, haha! 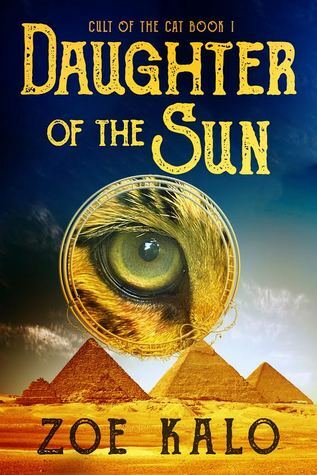 Overall, if you like great YA, adventure, Egyptian Mythology and cats (yes, lots of cats), you need Daughter of the Sun in your TBR pile and virtual shelves! I was gifted a review copy of this book, and wow, I'm happy I was. This has been a delight to read, from beginning to end. Do you love mythology? Adventure? Cats? You'll love it. Kalo is a talented writer, and I entirely look forward to the next books in this series. Here's some details, if the glowing praise above isn't enough. Trinity, the star of the book, is a teenager with a seething temper under the surface, demanding answers no one will give her, unsure of her place in her increasingly bi I was gifted a review copy of this book, and wow, I'm happy I was. This has been a delight to read, from beginning to end. Do you love mythology? Adventure? Cats? You'll love it. Kalo is a talented writer, and I entirely look forward to the next books in this series. Here's some details, if the glowing praise above isn't enough. Trinity, the star of the book, is a teenager with a seething temper under the surface, demanding answers no one will give her, unsure of her place in her increasingly bizarre and magical world. And while she struggles to harness her anger, she's still compassionate and brave, bright and interesting. She's easy to relate to and root for, even as her developing powers try to chip away at her physical humanity. The villain of the work, sinister, cold, casually cruel Dr. Nassri, is a force of nature a reader learns to fear. She's never over the top, her motives and means expertly revealed in small doses, never totally showing her hand until the climax. I'm terribly curious if any of this calculating and ruthless creature will show itself in her daughter Ara, one of Trinity's few possible friends on the Island of Cats, a good young woman who always wanted her mother's love. There's so much here in this tale, so much intrigue and mysticism, all well told, the pace never lagging. The characters all feel well developed. I haven't read a YA tale I've liked this much in a long time. It's also intelligent writing. If I did have one critique, the romance component didn't really do it for me, but very little YA romance does—instant, intense physical chemistry without what feels like real feeling behind it. Eh. I can past that, though, and couldn't really put the book down from when I picked it up. And there's so much more this series can explore, from the love interest's dark family history to who the darker masterminds behind Dr. Nassri are. I won't give away spoilers, but this book is very comfortable with letting its protagonist evolve in huge ways, and I can only be excited to where her next adventures lead. Keep writing Kalo! I'm honestly into this more than I was into the Percy Jackson series, my previous high standard of YA mythological fantasy. This book was a fun read and taking into consideration that it is a debut novel I must say the writer put things together wonderfully. When I was a kid, I used to love reading mythologies. However, most of the books that I read were based on Greek mythologies. This book was different! This book was based on Egyptian mythology and for me this book was stunning and I loved the writing. This book didn’t bore me and it was a page turner with lot of twists and turns. I loved the character of Trinity, she was strong and I liked how things unfolded, there was this surprise factor for both the character and the reader. I really want to know what will happen next and the character of Seth really intrigue me. So what do we have? A strong character, well written book with words woven together beautifully and effortlessly, exposure to Egyptian mythology, and a good portion of thriller, mystery and fantasy. Trinity has led a humdrum life, raised by nuns in England after being abandoned at birth. She longs for more, but couldn't dream of her long-lost family whisking her away to the island of cats, which is only the tip of the mystery. It took me a while to get into it, but this turned into a really good read. It's a nice, light YA Fantasy, as it follows Trinity as she explores her new home, her new freedom and the mysterious changes to her body. Trinity has led a humdrum life, raised by nuns in England after being abandoned at birth. She longs for more, but couldn't dream of her long-lost family whisking her away to the island of cats, which is only the tip of the mystery. It's a nice, light YA Fantasy, as it follows Trinity as she explores her new home, her new freedom and the mysterious changes to her body. Despite the fact there may be something special about her, Trinity is still a normal teenager, with awkwardness, and flashes of temper, but good at heart. She prefers to keep to herself, and the company of her new cat, rather than people, which is something I can relate to! Trinity is also tenacious when it comes to finding out the truth about herself and her family. And as certain changes come, she takes everything in her stride. One of the mysteries, is how anyone who is loved by her family end up dying, almost like there's a curse... Which isn't a problem, until Trinity starts getting swimming lessons from Seth. I loved the mythology behind this book. It felt like a fresh and original spin on Egyptian mythology, and how it focuses in on the cat lore. The story managed the perfect balance between being informative, and still highly entertaining. I enjoyed this book, and I can't wait to see where the story goes in the next part of the series. Language is simple, smooth and efficient and narration even more advantageous and things move at good speed and paves way to more and more intriguing stuff keeping the ride joyous. Now the only thing that bothered me was the basic background setting of our central character. Somehow the character background clashes with the story development as ( if I am not being a spoiler) our central character is a kid who had been locked up in a orphanage under tight scrutiny of nuns and rigid belief and practices and in my opinion should exhibit some sort of naiveness having been cocooned away from real world but the transition we see in the character in the later half of the book is a bit hard to digest and I somehow feel that the character's background defined for her doesn't exactly matches with her character. You cannot simply say that the character transitioned or grew or matured etc because if that being the case that morphing is not successfully shown and the character seems to be completely different person defined in the very first and after that. Though to be fair it does not prick you much but definitely makes you wonder as to whether this character seriously had the background that the author keeps glorifying in the book. It seems a bit hard to picture but in general the whole book is a fun read. In conclusion, I loved the book for being simple, fast and having a different mythological aspect to enjoy. Language, narration all works in favour for it. Frankly, this is the second book I've read based on Egyptian mythology. Though we have a plethora of plots based on Greek and Nordic mythos, but such consistency is not seen with the Egyptian mythology. Murder in the Place of Anubis (Lord Meren, #1) by Linda S. Robinson was the first book I came across steeped in Egyptian Gods. However, Zoe Calo's novel deals, as the blurb shows, with the feline Goddesses. It's the story of Trinity, an orphan left at the doorstep of a nunnery with only an envelop Frankly, this is the second book I've read based on Egyptian mythology. Though we have a plethora of plots based on Greek and Nordic mythos, but such consistency is not seen with the Egyptian mythology. Murder in the Place of Anubis (Lord Meren, #1) by Linda S. Robinson was the first book I came across steeped in Egyptian Gods. However, Zoe Calo's novel deals, as the blurb shows, with the feline Goddesses. It's the story of Trinity, an orphan left at the doorstep of a nunnery with only an envelope and a scrap of something that resembles papyrus. One day, a visitor, Dr. Nassari delivers a news that Trinity is the long lost granddaughter of a wealthy woman, Margaret Wilford, living on the island of Kedilerin Ada. Trinity's world changes as she finds herself on the island of cats. After her grandmother's death, she begins to face and feel changes within, changes that are new and incomprehensible to her. She gradually learns her connection with the Egyptian Gods and her family history. It's time to fight against the odd, the evil, the impending danger! The author has made the story interesting enough by several twists and turns and sequence of events. Trinity's life at the nunnery, her fight with Beth, friendship with Brianna; all have subtle indications to the later events that followed in her life. The narrative style and technique are simple and easy to grasp, though never monotonous. It's a pretty decent read in the Y/A genre and would be loved by pre-teens and even the adults. I think the book ends in a hurried manner. A few extra pages would have done justice to it. However, I'm looking forward to the next book in the series. Read my full review here on Deluded Rambling. I really had no idea what to expect from this book going in. To be honest, my hopes weren't very high. I was chosen to receive this book for free in return for an honest review. I was a bit skeptical because I could see that it was self-published and only available as an eBook... usually a sign of not very good quality writing (I know, that's extremely biased and unfair... but the advent of digital publishing makes it too easy for any random person to Read my full review here on Deluded Rambling. I really had no idea what to expect from this book going in. To be honest, my hopes weren't very high. I was chosen to receive this book for free in return for an honest review. I was a bit skeptical because I could see that it was self-published and only available as an eBook... usually a sign of not very good quality writing (I know, that's extremely biased and unfair... but the advent of digital publishing makes it too easy for any random person to publish whatever crap they feel like writing). However, the plot description intrigued me so much that I decided to take the plunge and read it anyway. And I'm quite glad I did! From the very first page, I could see that, while it wasn't going to be a literary masterpiece, it was at least crafted by someone with some skill in writing. Certainly, there were no points where I was "wowed" by the beauty of the language or driven into literary stupor; however, sentences were well-crafted and clearly edited with a fine eye. To be honest, it reads a lot like most of the young adult fiction currently on the market - in a conversational voice and at a reading level appropriate for all ages. The book opens with the main character, Trinity, in a sort of trance as she experiences a strange sensation of haunting images. The reader is then quickly given some exposition of the setting and history of her life - she was abandoned at birth and raised in a London orphanage, along with her best friend, Brianna. While I don't really enjoy when books straight up explain the background of a character without letting us learn about it on our own (show, don't tell), sometimes it does help you get into the story a bit better without worrying about who is who. After a short and seemingly pointless interlude where Trinity feels the need to punch a girl in the face, we are quickly drawn into the beginning of the whirlwind plot. As it turns out, a mysterious (and immediately malevolent) woman named Dr. Nassri has arrived to collect Trinity, claiming that she was sent on behalf of her grandmother, who has been searching for her for 16 years. 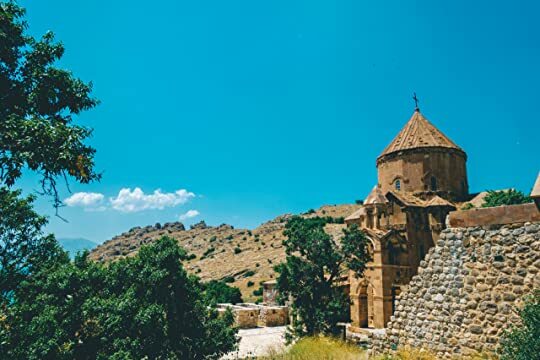 Even though the circumstances are mysterious, the nuns let Trinity leave that very same night, and she is taken to an island just off the coast of Istanbul to meet her gloriously rich relative. As you can see, this novel is following the essential young adult plot trope - a seemingly ordinary girl finds out she is special and "chosen." She is, of course, immediately presented with a unbelievably handsome male boy toy who immediately falls in love with her. Oh, and yeah, there's a prophecy outlining how special and chosen she is. Of course, she has to fight evil along the way. As much as this formula is overused, it is crux to the young adult genre and because of that, I really can't complain. For me, though I've read many books with this "formula," they still entertain me, and that is all that matters. 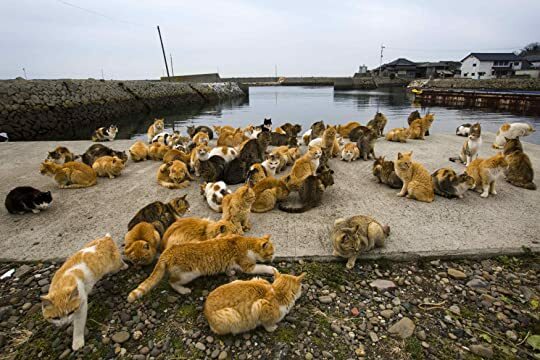 Anyway, it turns out that the island her grandma lives on is actually the island of cats, meaning that over 40,000 cats live there freely. Oh, and her grandmother owns the island. Talk about hitting the jackpot, right? Sadly, her grandmother dies almost as soon as she arrives, meaning she never really had the chance to meet her.Trinity actually has the ability to heal people, and she was about to do so with her grandmother, but the evil Dr. Nassri prevented her from accomplishing the task. Seriously, though. In my opinion, that Dr. Nassri was immediately too sinister to be believable. Through the whole novel, everything she does is downright nasty and bordering on illegal. I have no idea why no one ever called her out on it, especially Trinity's grandmother (who must have known for years about her true nature). Instead, she actually lets her LIVE IN THE SAME HOUSE and build a room to perform evil voodoo or whatever. As the story progresses, the reader learns that Trinity's "intuition" is correct and Dr. Nassri is a straight up Jafar villain, cobra staff and all. Of course, the love interest for Trinity is a member of the jackal clan which opposes the cat worship prevalent on the island. Also, he's a personality-less Gary Stu with a rocking hot bod. If you're getting flashbacks of Twilight, there is a parallel, however, as I explained earlier, this is all part of the young adult genre trope, so I won't delve too much into it. For me, the strongest part of this novel was the interesting story line. The way that Egyptian mythology was interjected into the story was refreshing and a palpable change from other tired "paranormal romances." Plus, cats. So many cats. All the cats. It can't get much better than that. With the exception of a few dull moments in which questions are finally answered in sit down sessions with other characters, this story moves quickly and the plot is never dull. The action crescendos into a powerful climax with a massive cliffhanger at the end. Not a normal kind of read for me. Daughter of the Sun is filled with action and adventure. With a combination of Egyptian mythology and cultism Daughter of the Sun is a captivating read. A page turner that will keep the reader engaged and turning the pages to the end. The series promises to be great! I received a complimentary copy from Author Assistant. I was excited when I read the premise of this book and knew there would be lots of cats in it. I'm also a fan of mythology, so that intrigued me as well. This book kept me up way too late at night because I couldn't put it down. I'm looking forward to the next book in the series. I enjoyed reading this book, a lot more than I expected. At first I wasn't too into it, I didn't get what was happening or why, but I slowly began to understand and the more I did the more I liked the story. I loved the connection to ancient Egypt. I'd definitely consider reading the next book in the series. I received a complimentary copy of this book to review. I was asked to give my honest opinion of the book - which I have done. "Blood moon. I’d been mesmerized, as if its eerie splendor had spoken to me in an ancient, alien language. I hadn't been able to understand it, but I’d felt faint by its allure." Do you know that feeling when you get drawn to a book... put on a path of destiny to pick up a book that just calls to you, well that is exactly what happened when I stumbled upon this jewel. Ironically since the book is all about destiny and fate. 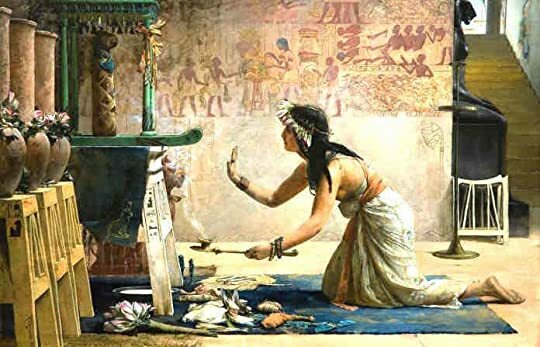 I have always enjoyed a great story that has deep roots in history/mythology/lore (in this case Egyptian) and really builds upon that to create a fictional tale that very well might be true it is written so well. When I have finished reading the book I was not a happy camper! I wanted more! I still do!!! I miss Trinity, I miss the cats, I miss the mystery... I NEED ANSWERS! While the story of the mystery that is 16-year old Trinity Walford is solved there is much left to explore as well as tie up some loose ends which I'm hoping will be the focus of the next book... maybe even more than 1? I was left satisfied with all that has occurred and developed through this first book but with that ending I was left with many questions. Which makes me plead to Zoe to please write faster!!! As I have mentioned it is a story of a 16-year old Trinity who has lived her whole lived with her best friend in an English orphanage only to discover one day that she has a living relative. This is where things get mysterious since our Trinity is not a typical teenage girl and possesses some unique qualities of a supernatural variety. Supernatural quirks that only increase in intensity as she is taken to an island to her dying & extremely wealthy grandmother. 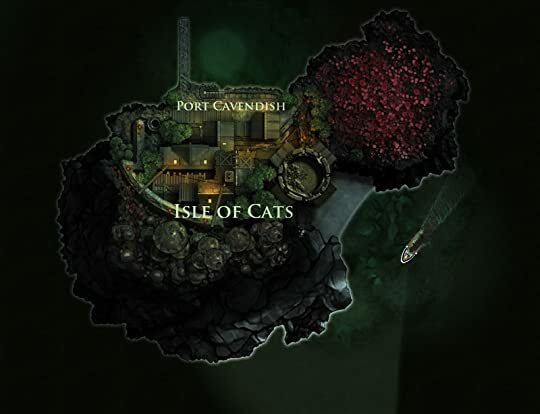 Island that is entirely made up of cats to the point where they are revered. While Trinity finds it all odd that there are so many cats living on the island and how they are treated by the townspeople, she eventually comes to terms with it considering she has come to an island with a cat who just jumped on her lap as she was leaving the orphanage. "The cats were everywhere, as always. Some leapt and sat on my grandmother’s moving coffin. They were calmer now and, strangely, didn’t seem to mind the rain. Their erratic behavior had disappeared. My guess was, it must have been the storm. I would have liked to think the cats had been upset by my grandmother’s death. After all, she had taken care of them, had been their protector all her life. But thinking like this was illogical, the stuff of fairy tales." Things do not get any less weird for her having to adjust to an idea of having a family, losing family, discovering family secrets that go back thousands of years, dealing with the occupants of the island who are more than what appears to the eye, and of course like any teenager dealing with matters of the heart. Oh sweet, sweet Seth you are just as complicated as our Trinity and I hope to get some answers out of you in the next book as well. "The tip of my nose grazed his face and for the tiniest moment my tongue slipped out tentatively to caress him, to claim him as mine." I really do not want to give anything away as reading this book is a great way to work those brain muscles with mysteries to solve.... I mean come on Trinity I solved the puzzle of your mystery Cat follower in the first few pages lol. I highly recommend this to anyone who enjoys a good young adult fantasy paranormal genre that is based on Egyptian Mythology. This is a fantastic read. I loved it! Mesmerizing. Gripped me from the start. I read until 4 in the morning. Just couldn't put it down. I can't wait for the next book. Received this book complimentary from voracious reader. I have read mythology based fantasy books but it was always Greek or similar ones. This is the first book I have read about Egyptian mythology and times like this makes me realise that sometimes I kind of get closed minded about reading. After finishing this book, I have made the decision to further my reading habits in the hitherto unexplored mythology genres. Now moving on to the book, I was literally reeled in with the promise of mytholog I received a free copy in exchange for an honest review. Now moving on to the book, I was literally reeled in with the promise of mythological mystery and I can say without any hesitation that the author has delivered. The blurb piqued my interest and I started the book in high hopes. But it was kind of dashed at the beginning since the start was very slow. Nearly half was spent in the teen drama and angst of Trinity's adjustment to the life on the island and her dramatic interactions with Seth, Ara and her posse. Later on, the story got a life and picked up speed and I felt it was kind of hasty in the end. The characters were genuine and relatable. Trinity was strong and inspite of her secluded bringing up or because of that, she stayed true to her nature and strayed off course only few times, that too because of her temper. I can understand that since I have a hot temper too at times. Seth was intriguing with his background but I felt he was left at loose ends and wasn't given as much impact as he should have. Ava was a contradiction of sorts. I was sure she was same as her mother but she turned out a gem at the end. The villain was kind of obvious, to me with the hints being too strong to stay undetected. I felt that Margaret could have had a more detailed part in the book. The story, as I said earlier, started off slow and got going at a steady pace with few expected and cliched situations and certain unexpected and totally surprising twists. The history based on the mythology was fascinating and the author has handled it well. I can see the series continuing on a good note in the sequel. The mystery behind Trinity was quite involved and engrossing enough to keep my attention. The narration was quite descriptive at times and the writing was simple and clean. The ending was surprisingly not a cliffhanger and for that, I am thankful to the author. At the same time, I can't help looking forward to reading the next book with the all the unanswered questions twirling around in my end. All in all, it was a fascinating and unique read with fun elements and I can recommend this one to younger audiences who like mythological fantasy. Trinity is about to find out a dark family secret, one that will change her world in ways she never imagined. This book starts off painfully slow. Trinity was mildly interesting and the cats were a lovely addition, so I trudged on in the hopes it would get better. I was nearly halfway through the book before it stopped being a boring YA Romance and turned into a fantasy story. This shift happened around page 150, and if I’d read chapter one and then skipped to that point, I don’t think I would ha Trinity is about to find out a dark family secret, one that will change her world in ways she never imagined. This book starts off painfully slow. Trinity was mildly interesting and the cats were a lovely addition, so I trudged on in the hopes it would get better. I was nearly halfway through the book before it stopped being a boring YA Romance and turned into a fantasy story. This shift happened around page 150, and if I’d read chapter one and then skipped to that point, I don’t think I would have missed much. The same hints are repeated over and over, suggesting that there is something special in Trinity’s connection to cats and she has these strange sensations that might be magic. I didn’t need that much lead up to get the point that she’s not an ordinary girl. Once I was past the first half, I enjoyed getting to know Trinity and watching her evolve into what she eventually becomes. She finds her strength and has the courage to demand some answers about 20 pages before the end. Despite that, she was a likable enough character, if a bit annoying at times with her teenage “I’ll figure it out on my own” attitude. Asking the right people would have been easier, but would have made for a dull story. As far as characters go, Ara ended up making a fun companion. I think she fit into the role of sidekick quite well. And of course, Slugger, the calico cat with a big attitude and a lot of knowledge. Seth felt like an afterthought. There were some nice fantasy scenes describing Trinity’s newfound powers. She proves herself to have strong magical ties without going too far into the realm of the fantastic. These abilities are grounded in ancient Egyptian beliefs, which even today are mysterious and fascinating. 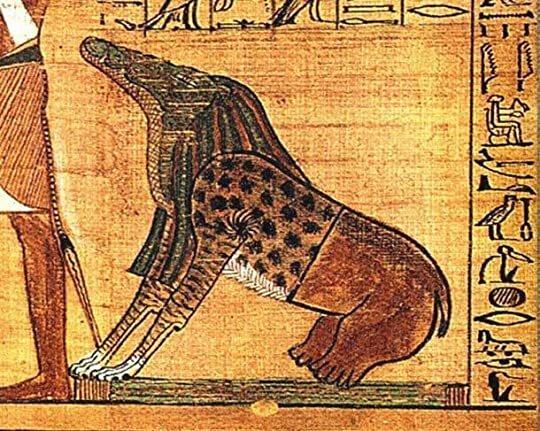 There are also some nice tidbits describing gods and goddesses and creatures from Egyptian mythology. Thoughts: Wow…..just wow! I actually had a book hangover after this one. So many twists and turns, my head was spinning (but in a good way). Other than like 2 mysteries that I guessed correctly, almost every piece of the puzzle was a surprise. I absolutely love when that happens!! And the great news is that this isn’t a major cliffhanger but there are still so many questions that were left unanswered that a curious cat like me just has to know! The build-up to the end was masterful, to some it would seem slow until the end but with so many “hints” (that gave nothing away…argh) it was so easy to stay engaged in the story. There were some slow parts and teenage drama but for the most part it I was completely gripped by the story. I didn’t want to put it down (stupid work lol).I loved all the Egyptian Mythology and how it tied into the story. There aren’t that many UF stories out there that have Egyptian Mythology, most are Greek or Celtic. (No complaints, I love those too). The characters were so easy to relate to but it was hard to figure out whom to trust, well, other than Dr. Nassri, she always seemed untrustworthy. But her daughter, Ara, I felt so bad for her and totally understood why she had an attitude at times. Seth, just plain hot (even though he’s a little young for me lol), total sweetheart. I adored Trinity, she’s so utterly clueless since she grew up in a convent but she doesn’t let that stop her from seeking answers. Awesome story and I can’t wait to read the next book to find out what happens next! This book takes me back to my teenage years when I loved reading fantasy books. The story follows Trinity, an orphan, who one days discovers that she has family that is alive, her grandmother. The reader is then drawn into the world of ancient Egypt, sorcerers, cults and ancient beliefs. The author makes use of the Egyptian gods and weaves a wonderful story involving a prophecy, magic and an ancient cult. Trinity, is forced to confront her destiny, form ties with her cousin and deal with an aunt This book takes me back to my teenage years when I loved reading fantasy books. The story follows Trinity, an orphan, who one days discovers that she has family that is alive, her grandmother. The reader is then drawn into the world of ancient Egypt, sorcerers, cults and ancient beliefs. The author makes use of the Egyptian gods and weaves a wonderful story involving a prophecy, magic and an ancient cult. Trinity, is forced to confront her destiny, form ties with her cousin and deal with an aunt who doesn't like her. Thrown into a world quite unlike the one she knew while growing up in a convent, the story is about growing up, facing your fears, family and some ties that never die. The story is well written and though at times it feels as though some characters are unnecessary, they seem to add something to the story by the end of it. The story is fast paced and sometimes it feels as though some events happen in a rush. It feels as though the author wants to tell us the story rather quickly without really giving us time to absorb what is happening. However, this does not take away form the essence of the story which is interesting. There is not enough emphasis on Trinity's powers and how she learns of them or how to use them, nor is there much about the Eclipse which plays a major role in the story. Thankfully though, the story does flow smoothly and is a joyful read. The author has done a wonderful job with the explanation into the past and the ancient Egyptian world and traditions. The descriptions of the island where the story is set is vivid and helps the imagination run free making it easy to form an image in the readers mind. The presence of cats and their importance is brought out subtly but is made quite obvious. What's Good: Egyptology. So much of the Urban Fantasy genre focuses primarily on Celtic, Norse and even Greek mythology it's almost like authors have forgotten the rest of the world- Africa, China, Mexico, etc- even exists. The main character, Trinity, is likeable and easy to root for. Her struggles and confusion are organic and well-founded under the circumstances; one of a few nice touches by the author. As the mysteries surrounding Trinity's origins and the island itself coalesce, the plot & pacing tighten up and move along. The whole concept of the Island of Cats seems kinda corny and juvenile at first- as does the nature of the curse Trinity's family suffers under- but both ultimately serve the story well enough. What's Bad: the story takes forever to develop. Literally the entire first half of the book is consumed with trying to force Trinity into a cliched relationship with the resident bad boy, Seth, to say nothing of the cliched wanna-be love triangle involving her cousin, Ara. The hints and teases about Trinity's true nature and that of the other women gets drowned in all the stereotypical teen drahmaz. It takes so long for the story to kick in you're sorely tempted to move on to something else. The other characters, including Ara and Seth, have little to no personalities of their own- like central casting was used to fill out the roster. I want to go to this island - desparately!!!! Cats are everywhere, and the island takes care of them so well - to the point that dogs are illegal. Can you imagine how many purrs and head butts you could get there? But these are This was an amazing story! I really loved Trinity. Coming from a very sequestered background as an orphan at a nunnery, to a private island where she can do just about anything she wants. It's quite a journey she goes on - and the place and freedom are just the beginning. This one won me over -- I spent a lot of time not enjoying it at all. I thought the characters were flat, predictable, unoriginal -- and frequently acting like 11 year-olds rather than 17 year-olds. The plot was pretty obvious, the twists were telegraphed, the romance was cliché and dull. I frankly was only reading it because I had agreed to do this tour today. Somewhere around the 60% mark I noticed that I was into the story, and I had been for awhile. All of the above remains true -- This one won me over -- I spent a lot of time not enjoying it at all. I thought the characters were flat, predictable, unoriginal -- and frequently acting like 11 year-olds rather than 17 year-olds. The plot was pretty obvious, the twists were telegraphed, the romance was cliché and dull. I frankly was only reading it because I had agreed to do this tour today. All of the above remains true -- but Kalo writes with an engaging style and gets you to like Trinity, her cousin, and just about everyone else (except the people you're supposed to not like). You like them, you want to see them make it, and are rooting for them. I don't have much to say, really. It works: it's entertaining, it's engaging, it's a Kane Chronicles for older readers. Could it have been better? Yes. But most books could. Read the blurb, if it sounds like the kind of book you might like, check it out -- you'll likely be satisfied. I wasn't sure about this book. I have read other books with similar ideas, but this one really stood out. It was well researched and detailed in a way that made me want to know more. I love how the myths are woven in, and how many of the characters learn along with the reader, making the discoveries as shocking to them as they are to the reader! Full of mystery, mythology and madness, this book was easy to enjoy. I loved the storyline and the twist of Egyptian Mythology. Ancient Egypt and Egyptian mythology has always fascinated me and I was excited to read about it. I'm so used to Greek mythology that the change was nice. The characters themselves were interesting to read and I was wrapped up in the journey as Trinity tried to uncover the mystery of who she was and what was going on. The story ended so soon for me and I'm left wanting Full of mystery, mythology and madness, this book was easy to enjoy. I loved the storyline and the twist of Egyptian Mythology. Ancient Egypt and Egyptian mythology has always fascinated me and I was excited to read about it. I'm so used to Greek mythology that the change was nice.